Born on the streets. Made in the stars. Under constant threat of invasion, the future of mankind's colonies is uncertain. Enter Jim Trillion and his best friend, Sergei, two young grifters scraping a living in the oases resorts of Mars. Their dreams might be big but their prospects are shrinking one petty crime at a time. Their luck is running out. But after saving the life of a famous explorer, they receive the invitation of a lifetime--the chance to join a mysterious top secret academy and one day see the galaxy. If only it were that simple. 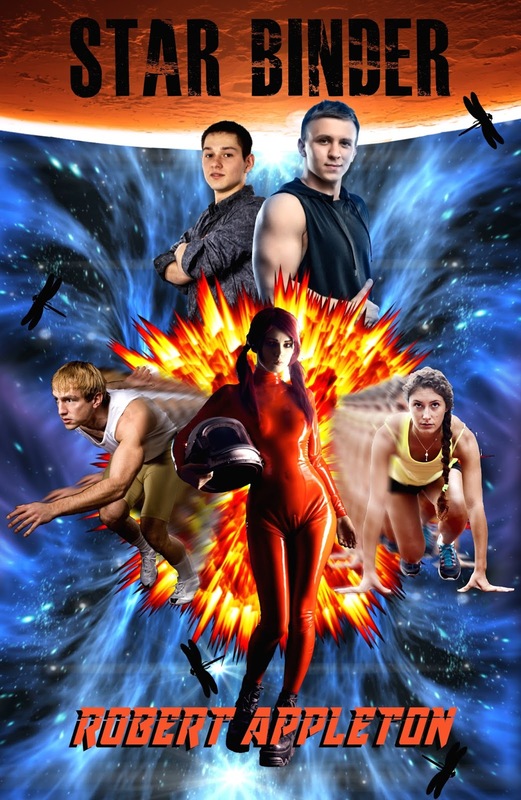 The massing alien threat, Jim's unknown past, and the key to reaching the stars all propel them on a journey of self-discovery into the thrilling and terrifying unknown. There the ultimate prize awaits, a prize that could change everything: the Star Binder. âI told you I donât know. Weâre stuck here. Letâs at least do something.â She puffs her cheeks and blows a slow, cherry-flavoured breath onto the digitab. Nothing happens to the screen, but I end up snorting a laugh. Sheâs just so jaded and honest and bored by the whole thing; itâs the opposite of what buggos are supposed to be like. âAll right, you go first.â I motion at the stream of aimless, gormless candidates passing behind her. Theyâre not interacting with each other; all theyâre doing is walking in continuous loops around the Hex, weaving in and out of the various apparatuses, looking but not engaging. âSee who can come up with the best way of recruiting a teamie,â I add. The sparkle in her eyes and the wicked grin twisting her lips tell me Iâve already lost this game. But one thing she doesnât know is Iâm a skimmer. A career skimmer. Craftiness is my trade. And I had one heckuva teacher. âFigure it out as we go,â I remind her. She playfully narrows her eyes at me, then, with a crack of her knuckles, gets down to business. She sticks her pinkies in her mouth and lets loose an impressive whistle that stops everyone on this side of the arena dead in their tracks. I feel like hiding under the table, but Iâve promised not to leave my seat. Lyssa crooks her finger at one boy, bats her eyelashes at another. She pats the seat next to her, waves, pouts, even strikes a desperate fashion model pose to beckon people over. But no one takes her on. Itâs either the funniest thing Iâve ever seen or the most pathetic. I pretend to roll up my sleeves. âYou canât leave them to make the decision; you have to make it for them. Watch and learn.â I tug a girlâs arm as she passes. She pulls away. Flips me off. After seeing that altercation, the other buggos instinctively keep their distance, so Iâm forced to resort to more creative methods of getting their attention. Before I can stop myself Iâve thrown a fistful of sand that showers at least five people. At least I have their attentionâand the cumulative hostility of a five-strong stink-eye. This is harder than I thought. So I cup my hands into a loudspeaker: âListen up. The next one who sits at this table gets ten credits.â I might not have shouted loud enough, so I repeat the offer. âHe means twenty credits,â Lyssa bids, and flicks her eyebrows up at me. Her half-scream, half-laughâwhile pulling at her own hairâleaves me in stitches. Sheâs about to jump across the table and probably beat me to a pulp when someone catches her eye, and she composes herself. Robert Appleton is an English author of science fiction, steampunk and historical fiction. 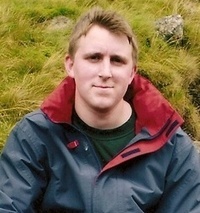 He has written for Harlequin Carina Press, Samhain, and various other publishers. In his free time he hikes, plays soccer, and kayaks whenever he can. His favourite books and movies, like his own fiction, usually take place in the distant past or the far future. The night sky is his inspiration. 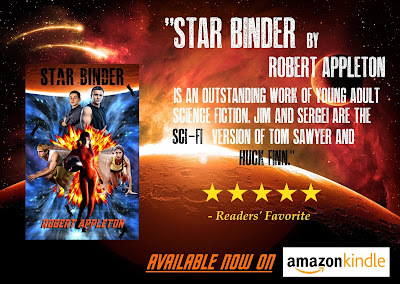 To celebrate the launch of Star Binder, Iâm giving away five copies of the brand new Kindle eBook. 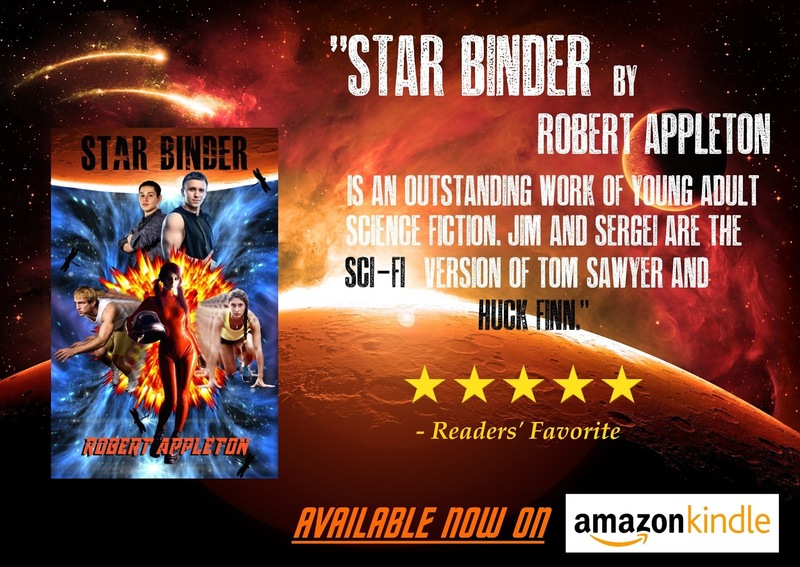 To enter, all you have to do is email me at robertappleton7@outlook.com with STAR BINDER GIVEAWAY as the title, then tell me the name of the book or movie that first made you fall in love with science fiction. Easy as that. Iâll pick my favourites on July 31st and contact the winners directly. Good luck!